If you haven’t been keeping up in news regarding dotmod, the original owners got pushed out of their company by a big corporation. 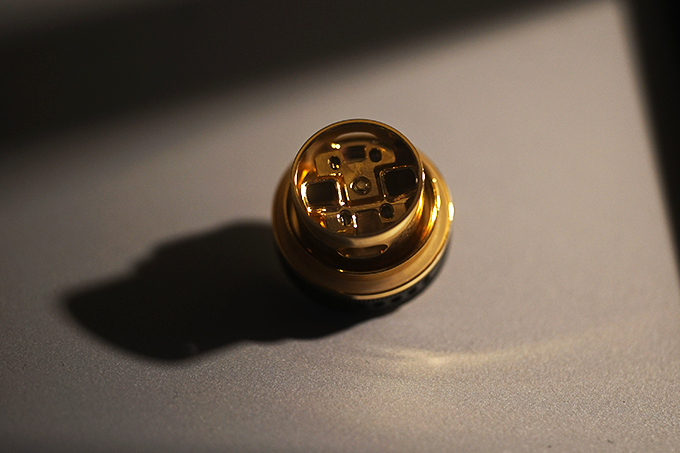 The dotmod you know today is not the same dotmod that we all have grown to love. The original dotmod crew decided to start up a new company, bringing us Wake Mod Co. and they are debuting the Wake RTA and Wake Tank. Let’s start with design. This tank holds a lot of similarities to the dotmod tank that came out about a year ago, which is around the same time that the original owners got the boot. Which begs the question whether or not this is the original owners design. Regardless, the tank has a timeless look that’s extremely classy. In comparison to the original dotmod tank, the Wake tank now features a matte anodized aluminium top fill section and airflow ring to give the tank a bit more contrast than the dotmod variant. The build deck on the RTA is postless. I have said before that I am personally not a fan of postless build decks, but this one is actually not half bad. Very similar to the dotmod build deck, you pre-cut your leads, insert your coils and tighten down the post screws. Where the Wake RTA really stands out though, is you don't need to completely dismantle the tank to get to the build deck. Just unscrew the bottom section, pop off the chimney, and you’re good to go. After installing my coils, I like to bend them so they’re directly over the airflow channels. 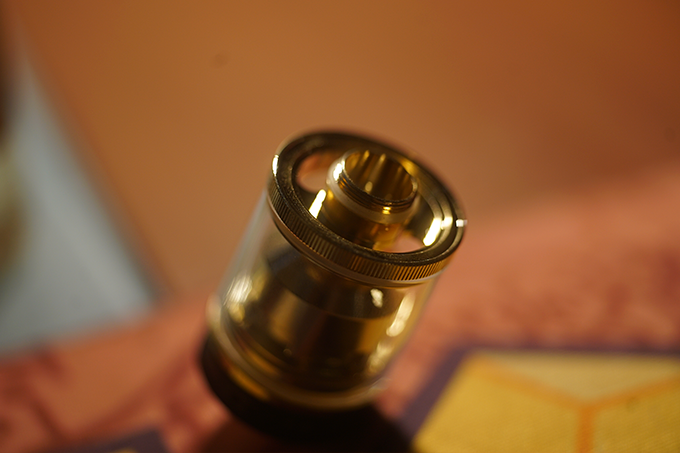 Wicking this tank is pretty straightforward. Cut your cotton to your preferred length, then take the chimney and pop it on. 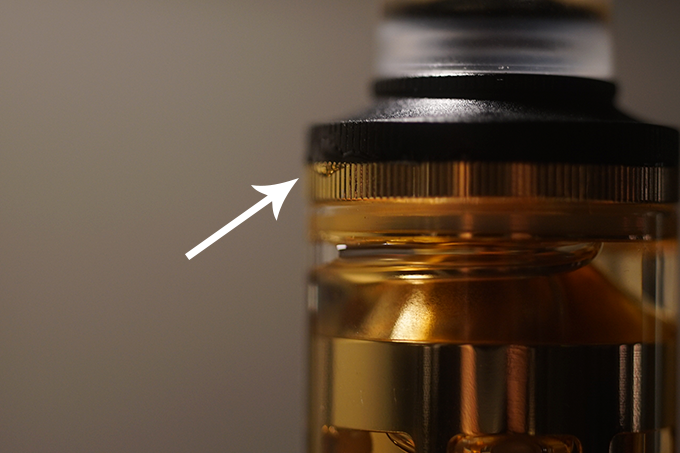 One thing to mention is if you have too much cotton, the tank will not wick correctly and not enough cotton will cause the tank to leak and gurgle. Now, if you were feeling lazy and didn’t want to rebuild your RTA, you can actually just unscrew the build deck and throw in one of their 0.5 ohm prebuilt coils which is absolutely genius. Filling up the tank for the first time, I was honestly surprised by how well machined this tank is, especially for its price point. I would put it on par with the dotmod variant which is almost double the price. 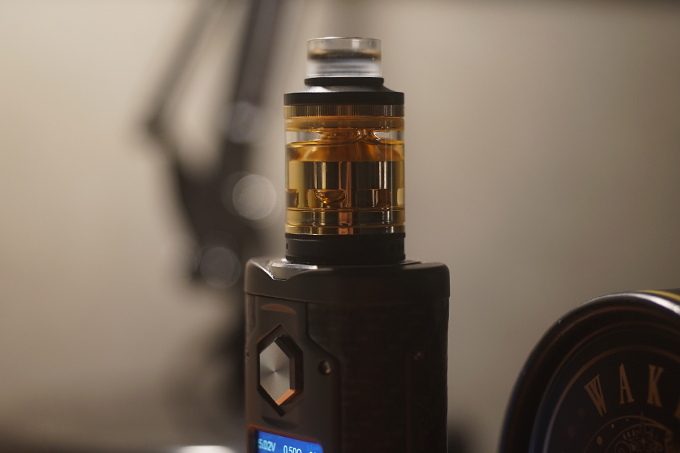 The tank holds 3.5ml of juice, which isn’t the biggest capacity in the industry, but it does last an adequate amount of time. In a full day of solely using the Sub-ohm tank, I would have to fill up the tank 3-4 times after constant usage. One thing to note is, when filling up your tank, the top fill ring does like to push out juice when tightening. This was a slight annoyance, but after a quick wipe, you’re good to go. Vapor production and flavour from the pre-built coils are amazing. Definitely not as intense as say a TFV12, but this tank is in a different ballpark. A coil lasted me about a week and a half with multiple juice changes and the entire time, it held up strong. This tank may be one of my favourite tanks of 2017 so far. Not only from a performance standpoint, but from a looks standpoint. 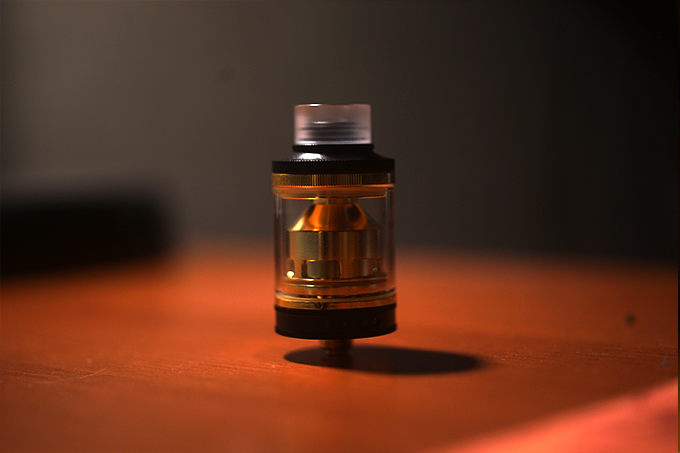 The black and gold Wake Tank is one of my favourite looking tanks to date. Also, the price point of the Wake Tank alone makes it incredibly hard to pass up. At $44.99 Canadian for the Wake Tank and $54.99 Canadian for the Wake RTA, these are very average priced products. You don’t need to be a high-end enthusiast and drop $100+ for one of these tanks. Sure, your tank won’t have a Swarovski crystal in the middle of the build deck, but what you are getting is a beautiful tank that has phenomenal flavour and an interchangeable coil system. 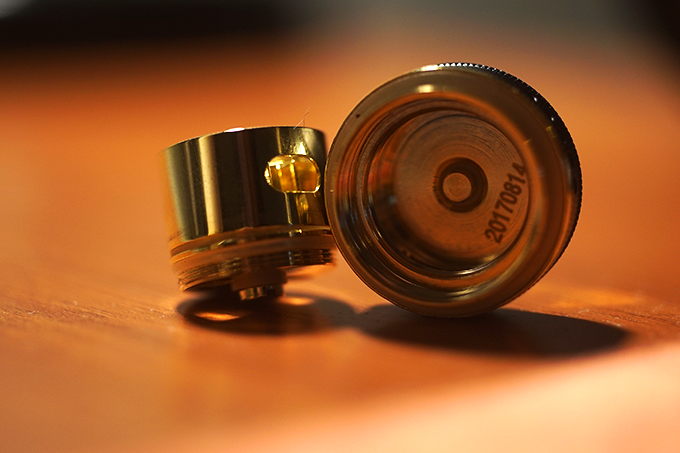 Wake Mod has made their debut, and we’re sure that they’re here to stay. We’re extremely excited to see what comes next.